As I wrote here, I met up with an old friend on Thursday who I have not seen in nearly 20 years. Shauna and I planned to meet at the Westfarms Mall for dinner at 6, but I was ready to go at 3:30, so I decided to do some shopping beforehand. 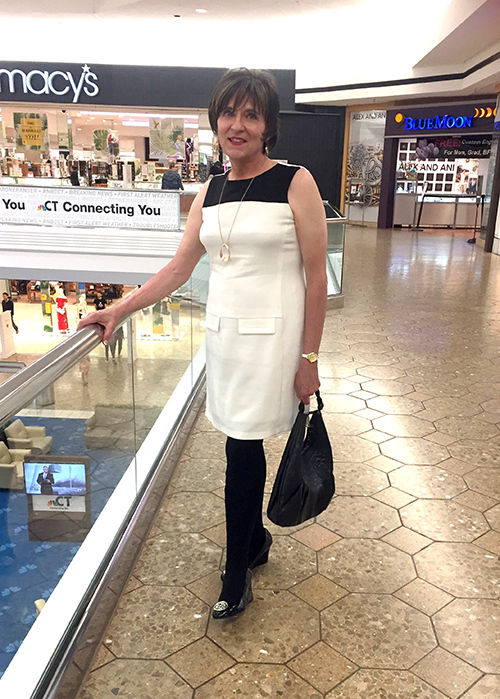 I wore a Muse black and white color block sheath that I purchased over five years ago and had never worn. At the time of purchase, the dress was tight, but I liked it so much that I bought it anyway and hung it in the TBD area of my closet ("TBD" as in To Be worn after Diet). After losing 20 pounds, it now fits and I accessorized with black tights, black patent high heels, black bag and gold jewelry. Going to the Dogs Dept. First stop was Petco to buy dog food for our two pups. At 4 PM, I was not overdressed for Petco; there were other customers in business attire probably shopping on their way home from work. I did notice a couple of women checking me out, but I like to think they were in awe of my fashion sense rather than my transiness. Like I Need More Clothes Dept. Our plan was to meet near the Macy's entrance to the mall. Problem is that there are three Macy's entrances to the mall. I threw caution to the wind, parked my car near the middle entrance and entered the store. I had over an hour to kill, so I started perusing the racks. I really really did not need any more clothes and I really really did not want to try on anything because I was certain that I would stain my dress with makeup as I undressed/dressed in the fitting room. Dress-wise, I did not see anything I had to have, but then I came upon a rack of pencil skirts in an array of colors and in a material (scuba) that I had seldom seen before. And they were marked down to $19.99! I realized that I could try on skirts over my dress and would not have to disrobe, so I started shopping more seriously. I liked all the colors, but the blue ("Lazulite") was my favorite and they had my size. I grabbed an XL and a Large and sashayed to the dressing room to try them on. The XL looked too big, so I did not bother with it. The Large fit, but was a little roomy – do I dare try on a Medium? I held onto the Large, returned to the rack, found a Medium and returned to the dressing room. The Medium fit like a glove clinging to my figure like a pencil skirt should. So I abandoned the Large and held onto the Medium. Next, I began shopping for a white blouse to go with the skirt and I tried on a few, but did not find anything I liked. By the way, the dressing room was busy. Women coming and going and none of them gave me a second look. Looking for more white blouses, my iPhone rang. It was Shauna letting me know that she was on her way and would arrive at the mall shortly. So I stopped shopping, paid for the skirt and proceeded to the parking lot to meet up with my friend. 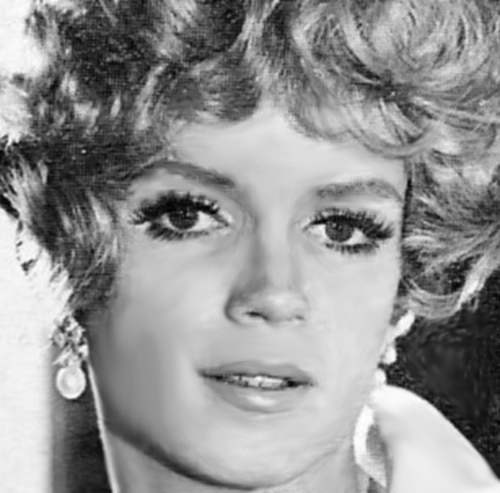 In the 1970 film Dinah East, Jeremy Stockwell played a glamorous movie queen of the 1950s, who is revealed to be a man after her death. According to IMDB, Dinah East was Stockwell's only film. I wonder if he was a professional femulator. And whatever became of him? 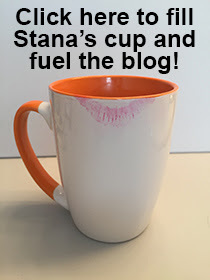 I like your dress, Stana, and how it accenturates your lovely body. Those shoes looks very nice too and comfy enough to wear them all day out.